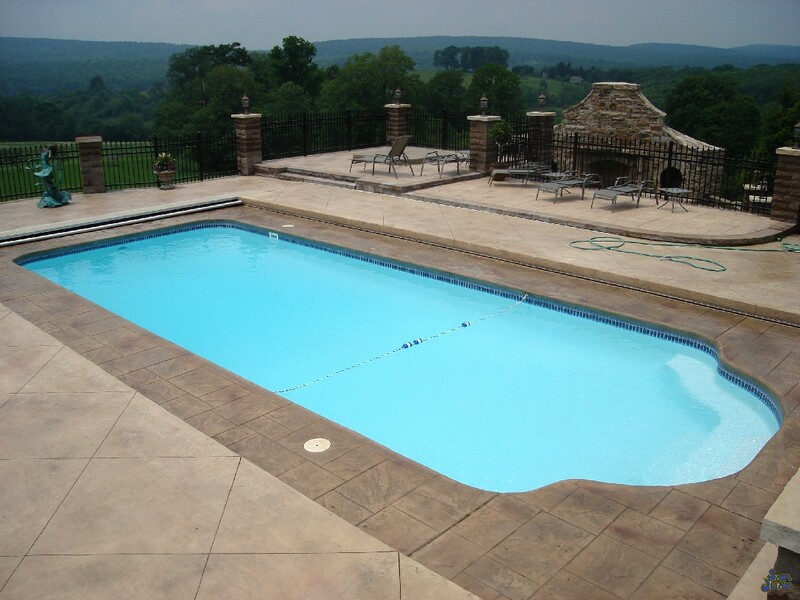 If you enjoy researching through our large fiberglass pool category then you’ll also enjoy reading up on our Pacific pool model! 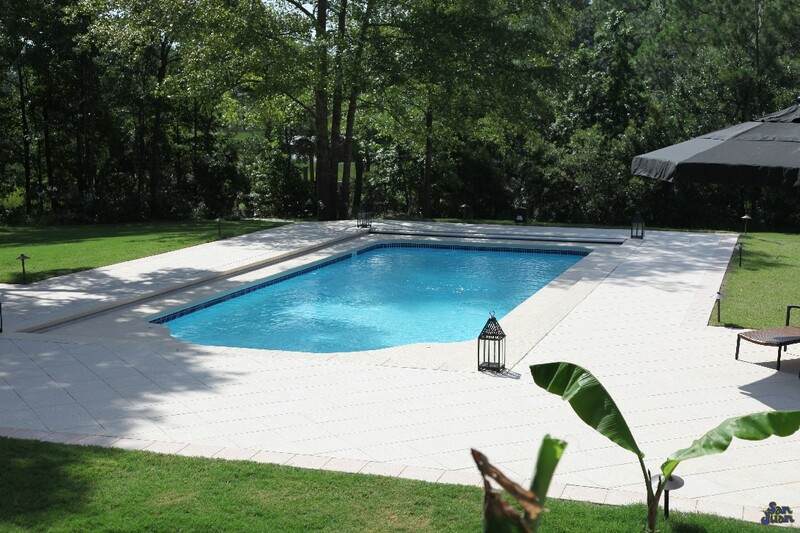 This fiberglass swimming pool is a classic rectangular layout with a standard hopper (deep end). 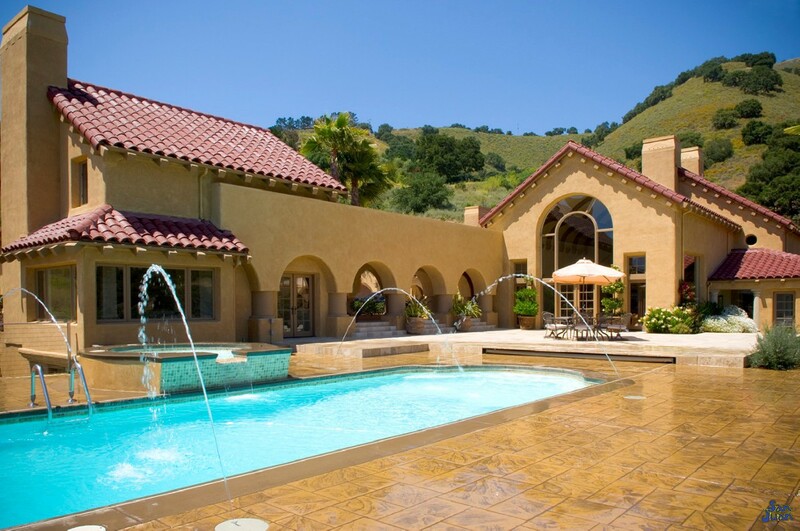 San Juan Pools designed the Pacific to metaphorically resemble the Pacific Ocean. We designed it to be big and deep. 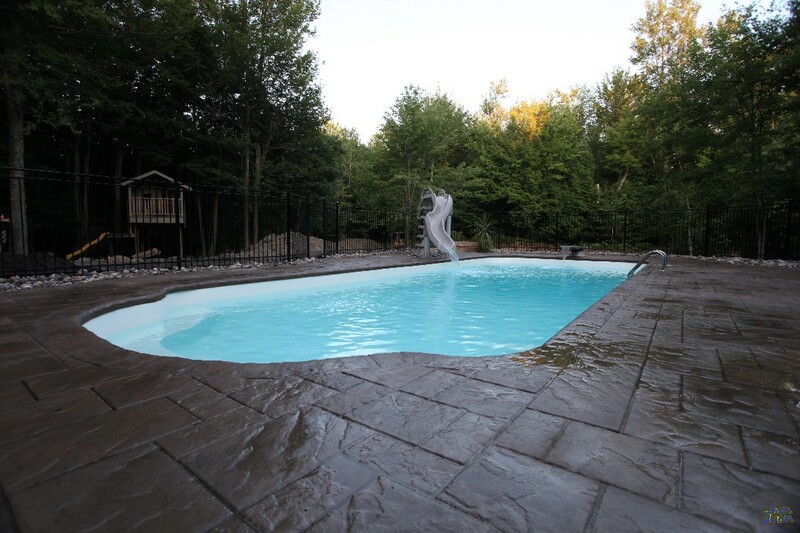 Therefore, by purchasing the Pacific, you’re investing in a swimming pool that provides a 7′ 11″ deep end and a 39′ 10″ length. This is a very big body of water that leaves room for all types of swimming pool games, raft floating, water features and much more. If you’re into entertaining family and guest, the Pacific gives you more than enough space to keep everyone entertained. We’ve located a wide set of curved steps in the shallow end as a gathering space. Bring everyone together in the shallow end of the Pacific and enjoy some cocktails, conversation and shallow end pool games. You can easily situate up to 4-6 swimmers on these shallow end steps & bench. If your home is located in the sunbelt then you’re no stranger to blazing summer heat waves. 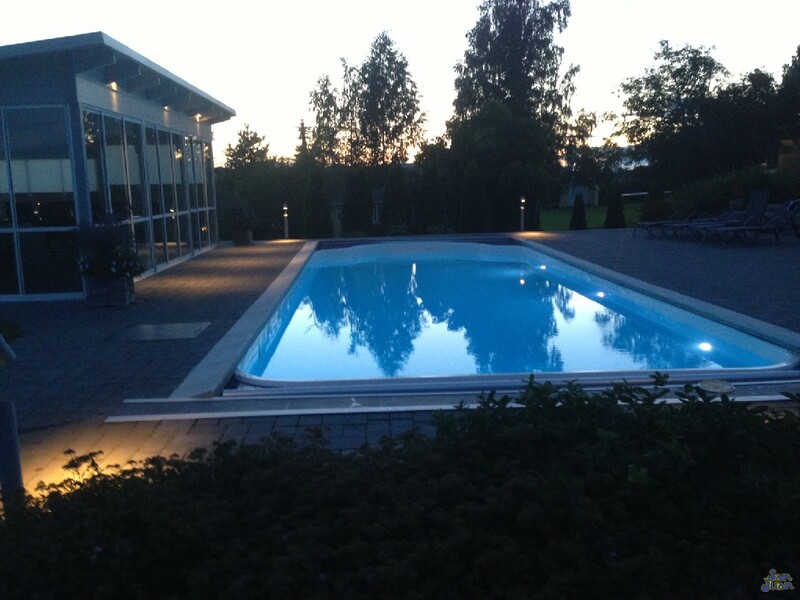 By providing this shallow end bench you can allow all swimmers to gather in a shallow end space to cool off. As we’ve already mentioned, the Pacific is part of our “big boy” pool category. 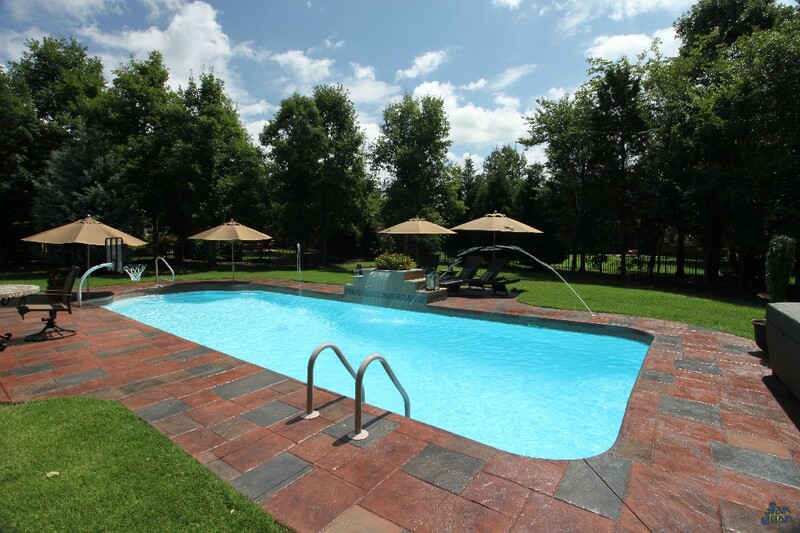 We designed all of our large fiberglass pools to be the largest and the best on the market today. 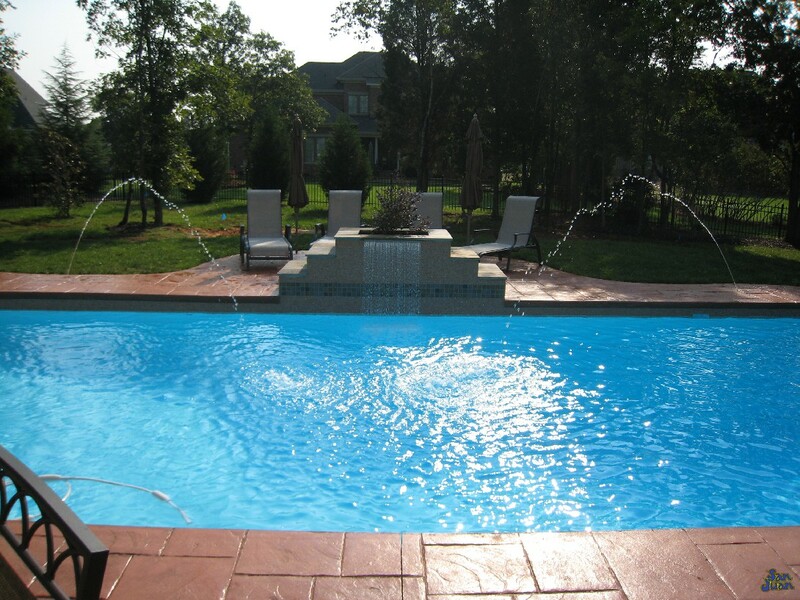 All of our large fiberglass pool models include some voluptuous deep ends and extensive lengths. The Pacific includes a 39′ 10″ length which is terrific for lap swimming! In conclusion, the Pacific is a beautiful rectangular swimming pool with a standard deep end hopper. 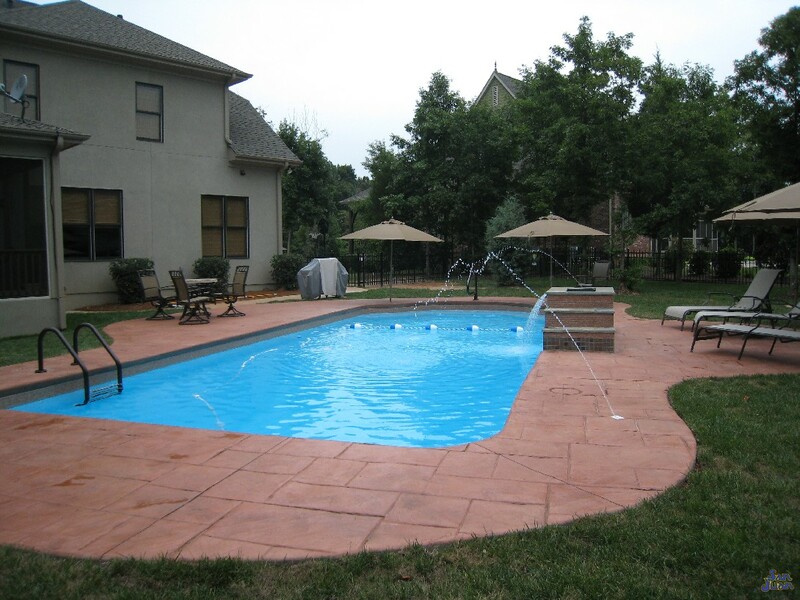 It’s 7′ 11″ deep end is excellent for installing a diving board, water slide or going “old school” with some cannonballs. Additionally, it’s length of 39′ 10″ is excellent for lap swimming, raft floating and gives all of your swimmers plenty of room. 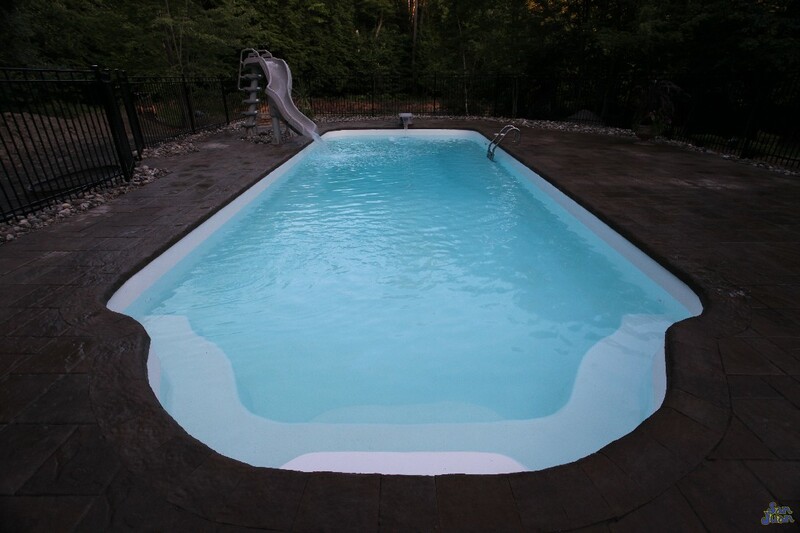 By purchasing the Pacific, you’ll be receiving a fiberglass pool that is both big & classic shaped. The Pacific is capable of supporting all of your summer fun and developing family memories for years to come!